We offer a comprehensive range of more than 30 infrared camera models. 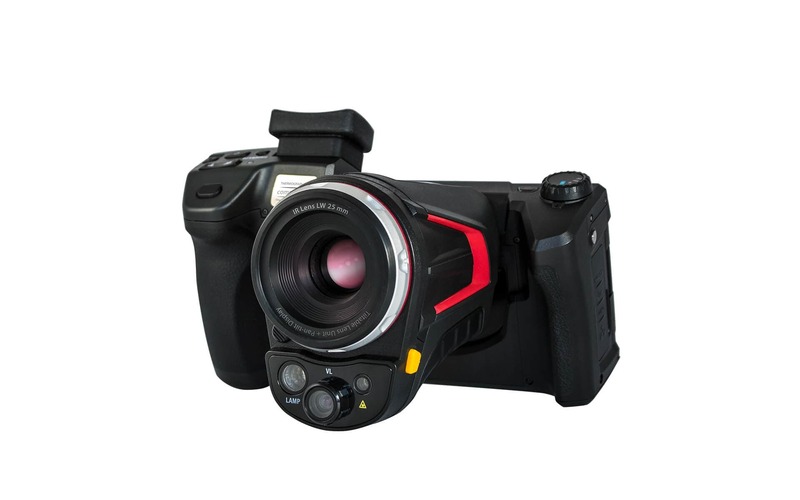 Our product range comprises entry-level devices, professional and universal cameras, high-end solutions as well as industrial thermal cameras and infrared imager. Together we will find the right package consisting of infrared camera, software, accessories and service for your specifique application. More than 30 different high-class infrared cameras for various thermographic demands are waiting for you in the thermography section. The professional and universal camera section offers a professional top-class model with the HD infrared camera series VarioCAM® High Definition. 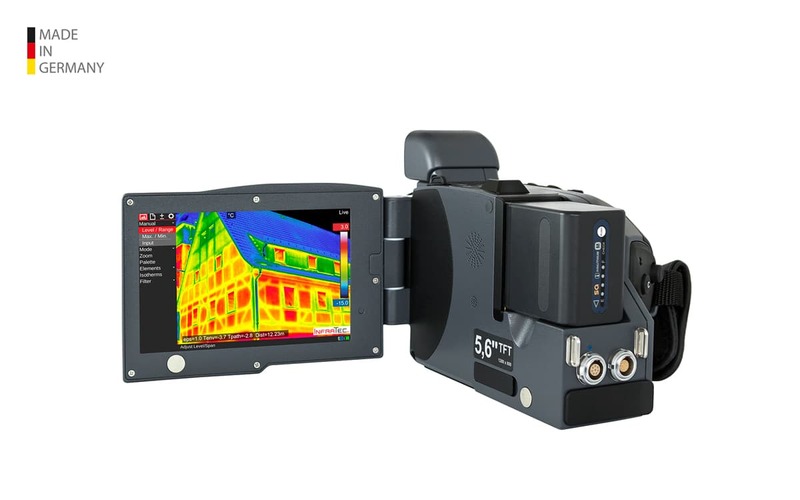 The high-end thermography system section also has a high-resolution infrared camera in store for you with the ImageIR® camera series, which you might be interested in. Attractive entry-level products with excellent quality can be found in the entry-level camera section. 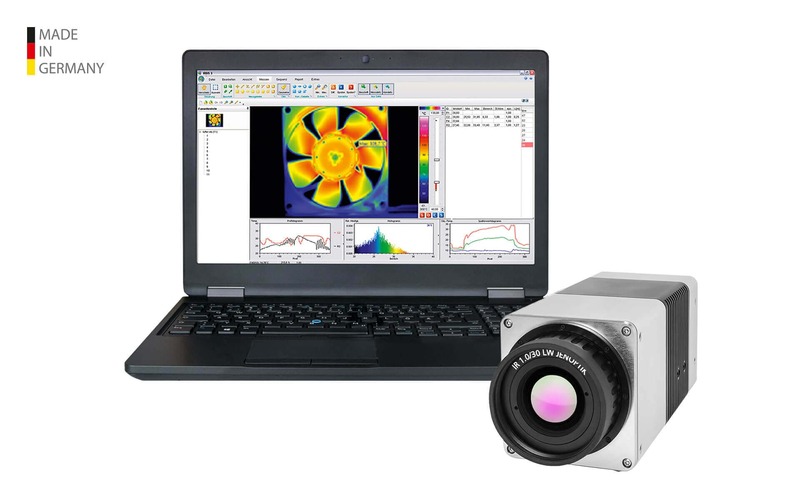 InfraTec offers several camera series allowing for an inexpensive access to thermography. 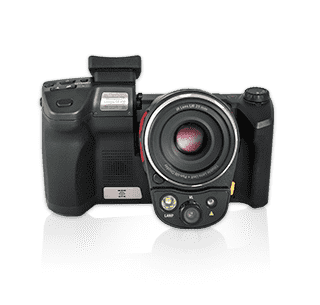 The ergonomic design and extensive equipment (such as colour display, laser pointer, daylight camera as well as image merging and voice recording) are the basis for a comfortable operation of all entry level cameras. 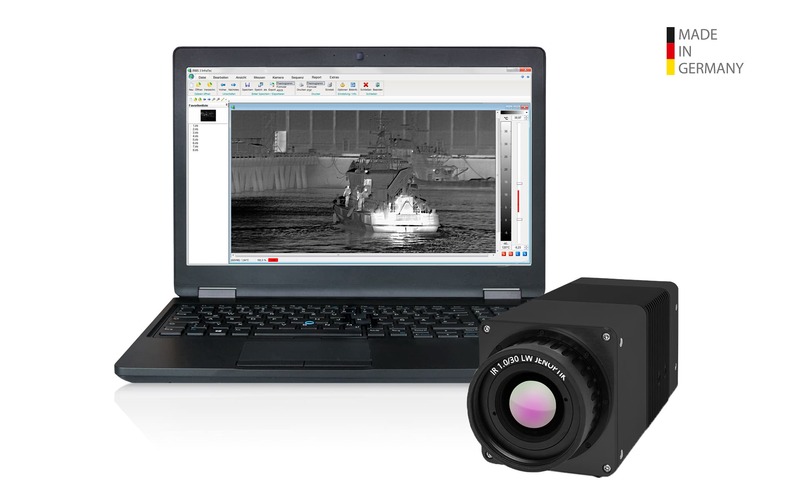 The mobileIR 400 is a powerful as well as cost-effective thermographic camera for mobile applications. It combines a robust, ergonomic design with an intuitively learnable, understandable concept for single-handed operation. Its digital, daylight compatible touchscreen reproduces the thermal images with high brilliance and provides a good overview of the current measuring situation and the operating state of the camera. The replaceable, fast chargeable Lithium-Ion battery ensures a long service life. 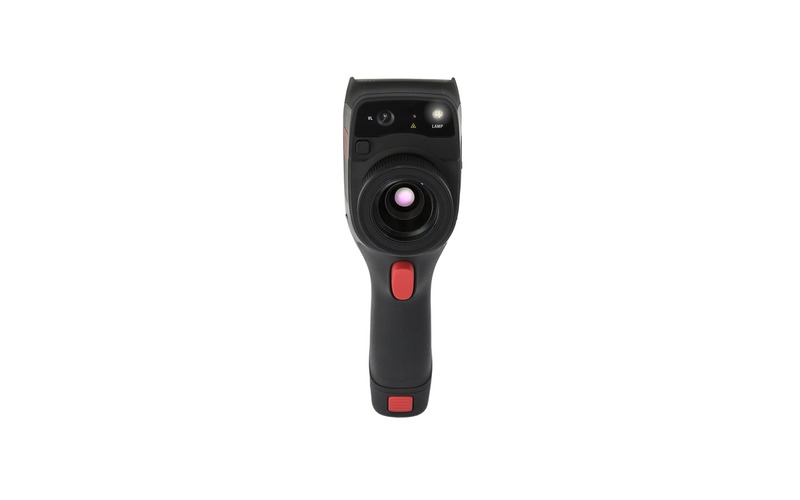 The handheld compactIR 400 thermographic camera extends the segment of the entry level cameras by a unique detector format of (400 × 300) IR pixels. The geometrical resolution exceeds those of cameras with standard formats by 1.6 times and means less work for users during the measurements. Apart from the detector format, the thermal resolution also achieves a level that stands out among cameras of this performance class. Temperature differences of 0.045 K can be detected reliably. InfraTec offers a wide range of universal infrared camera models. These include the stationary and mobile universal and professional cameras of the camera series VarioCAM® High Definition and VarioCAM® HDx. 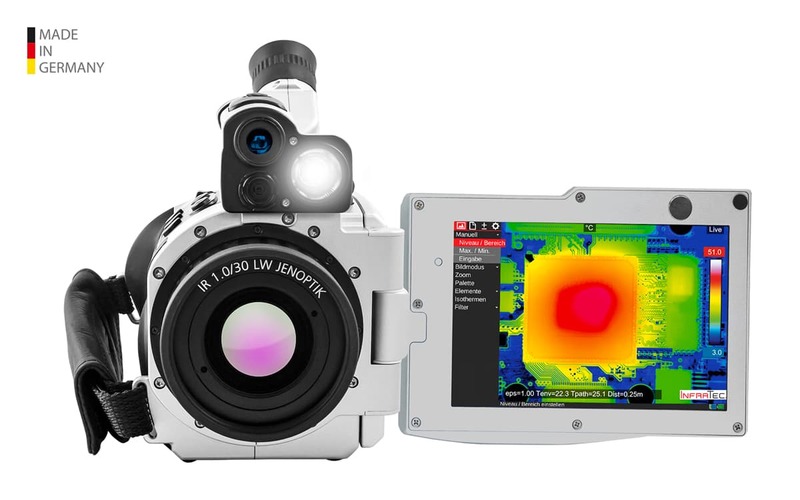 The mobile thermography cameras of the product series VarioCAM® High Definition and VarioCAM® HDx, conceived for professional use, are the result of close, long-standing cooperation between InfraTec and the premium manufacturer Jenoptik. Their detector formats range from (640 × 480) to (1,024 × 768) IR pixels. In connection with the continuously operating opto-mechanical Microscan feature, image resolutions of up to (2,048 × 1,536) IR pixels can be achieved. Both product series stand out due to their excellent quality, high measurement precision and extensive equipment and accessory assortment. 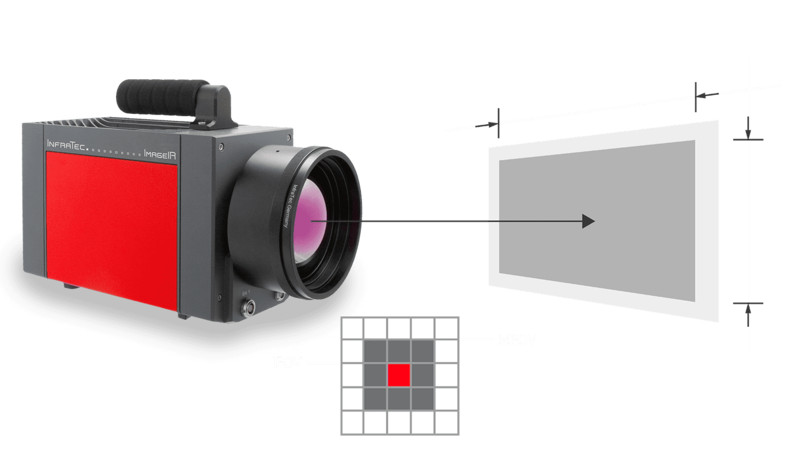 VarioCAM® HD head and VarioCAM® HDx head are based on the same camera cores like the handheld models. These camera series are compatible with GigE vision and GenICam as standard and have digital inputs and outputs. Both series qualify as high performance and at the same time rugged cameras for almost every stationary measurement task. Due to their modular design and compact light metal housings they especially suit for fixed mount usage under harsh process environments as well as for computer-based laboratory applications. The modular system concept provides the opportunity to choose between numerous different equipment and performance options. 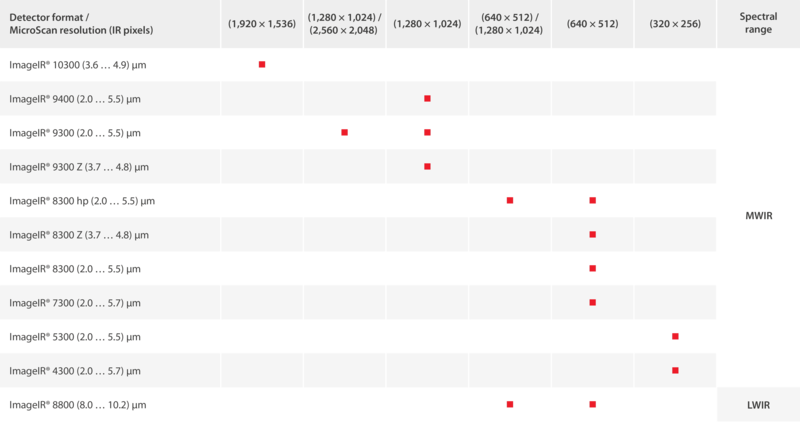 This allows for individual adjustment to your specific demand and application focus. 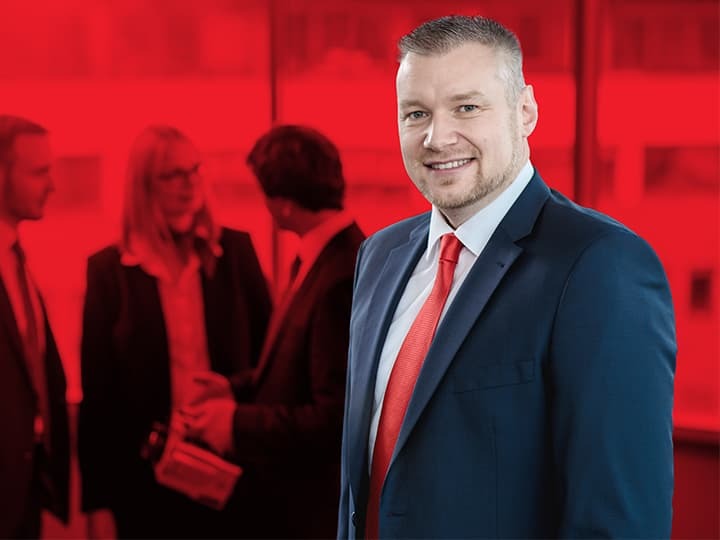 Therefore, these infrared cameras can be used for nearly every task – from predictive maintenance to process optimisation, quality assurance, assembly optimisation to complex tasks for research and development purposes. 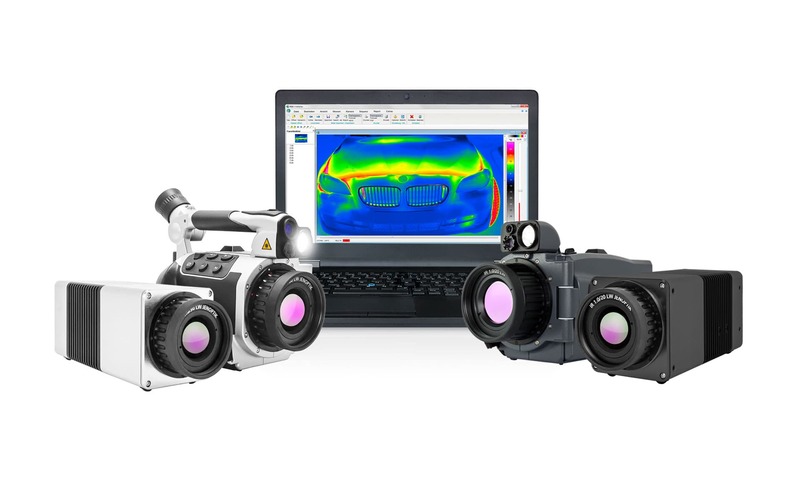 For detailed and comfortable analysis of all captured thermographic image data, the thermography software family IRBIS® 3 is available – including a package of application specific expansion modules. Based on its modular concept the software permits a tailored program configuration and facilitates its use in any field of infrared thermographic measurement and testing. 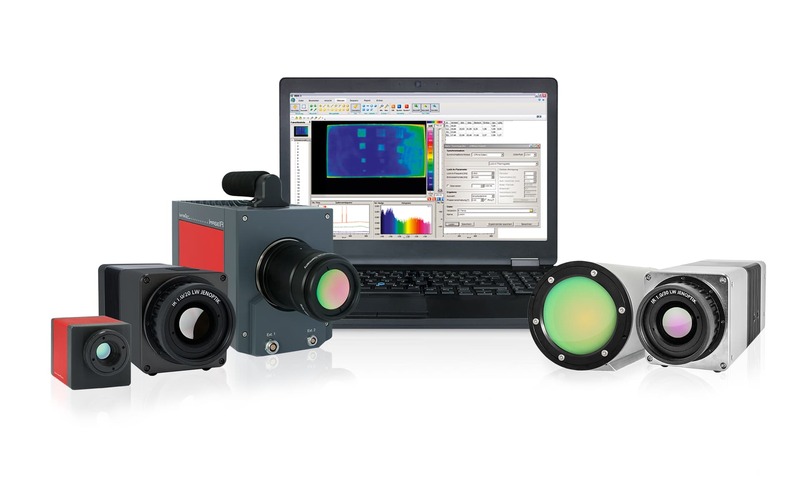 The high-end thermography systems of the product line ImageIR® are conceived for application with highest standards in the fields of research and development, non-destructive material testing and process monitoring. The modular outline allows for an individual system configuration and ideal adjustment of the performance data to the respective task. 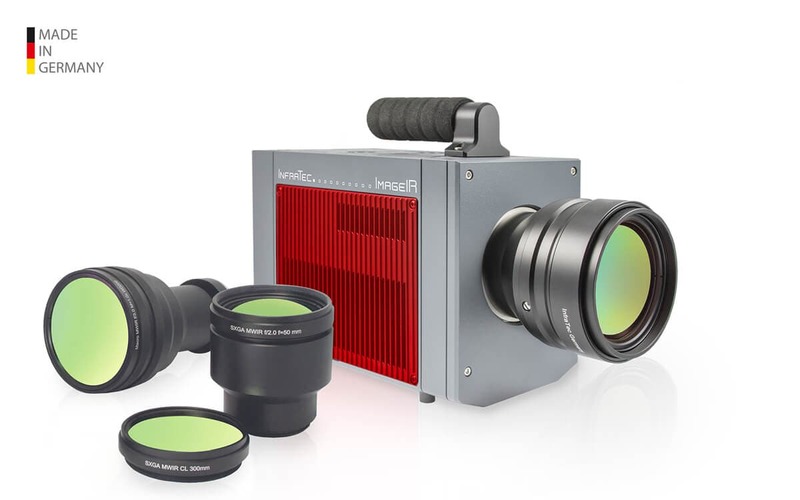 Researchers and scientists, who depend on flexible infrared camera technology with maximum sensibility, accuracy, spatial resolution and speed, have a perfect solution available with the ImageIR® series. 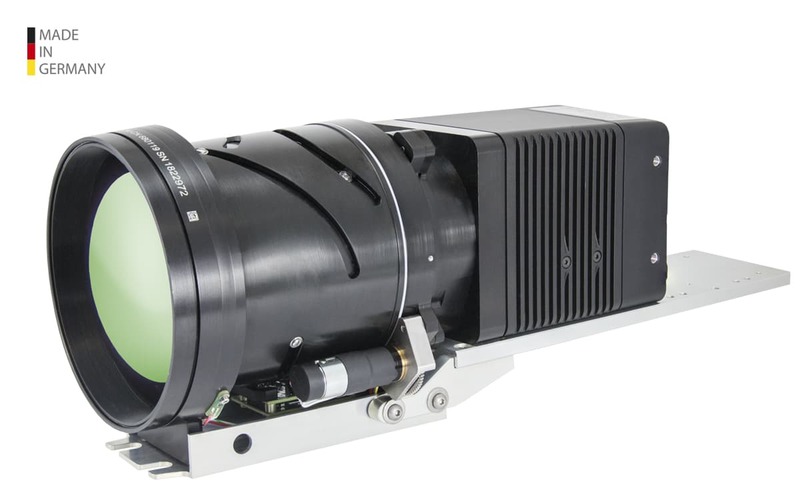 As the top model of this series the ImageIR® 10300 impresses with a cooled photon detector of (1,920 × 1,536) IR pixels being installed in an radiometric infrared camera for civil use for the first time. The transmission of the recordings in full hd achieves, thanks to the 10 GigE interface, frequencies up to 100 Hz in full frame mode. 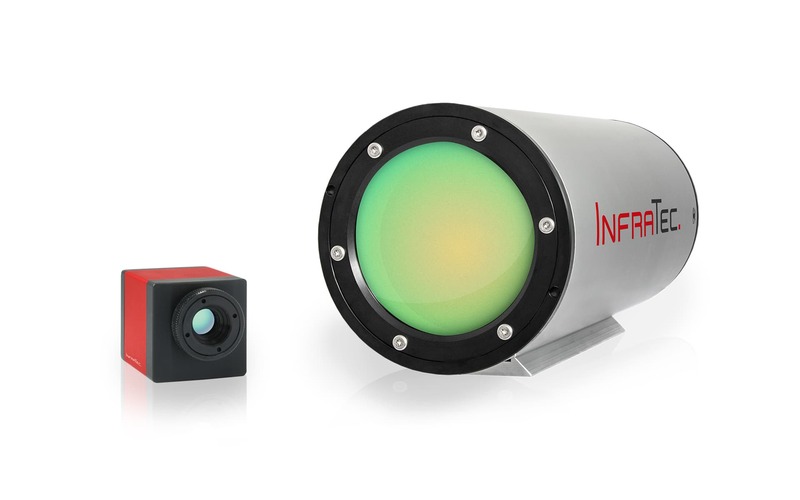 For reliable detection of very small objects over extremely high distances the models ImageIR® 8300 Z and ImageIR® 9300 Z are available with a focal range of (28 … 850) mm. 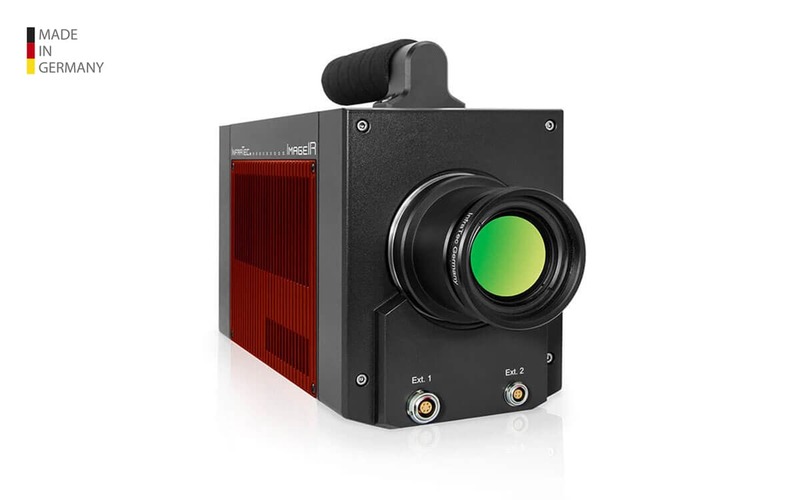 The ImageIR® 8300 hp in the format (640 × 512) IR pixels allows a full-frame rate of 350 Hz. 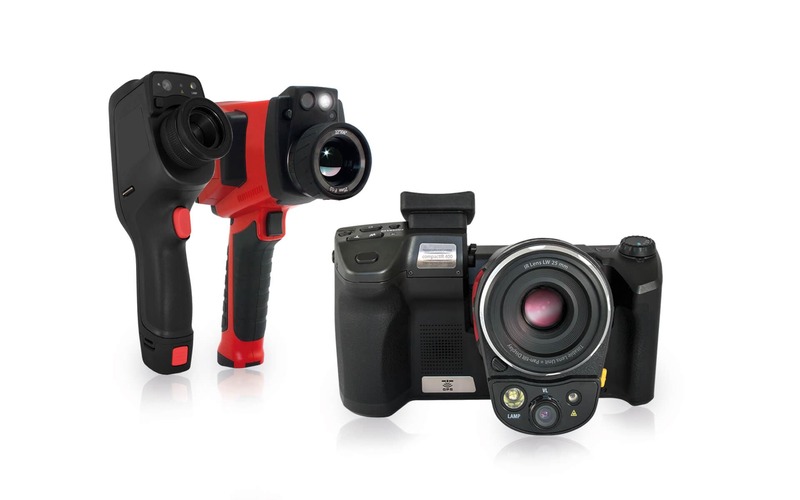 The series sets standards as an efficient high performance tool for thermographic investigations in combination with the thermography evaluation software IRBIS® 3. The modular device concept allows for an individual, customised equipment and utilisation in nearly all specialist fields. 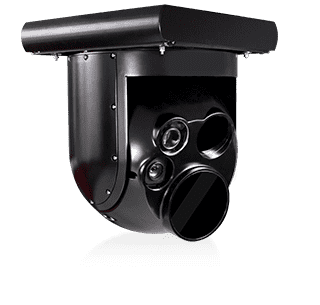 The stationary infrared cameras of the VarioCAM® HD head, VarioCAM® HDx head, PIR uc series and ImageIR® series with their solid light metal housings are suitable for fixed use under harsh process conditions. The solid construction and compact body dimensions of InfraTec's stationary infrared camera modules, as well as their protection degree up to IP67 standard make them a useful tool for many application areas in research and industries requiring fixed installation. The stationary industrial versions VarioCAM® HD head and VarioCAM® HDx head with their compact light metal housing are especially suited for fixed mount stationary industrial applications in rough process environments, but also for computer-based laboratory tasks. The very high geometric resolution of up to (2,048 × 1,536) IR pixels makes even smallest details visible. The application spectrum of these infrared camera series ranges from automatic threshold detection and signalling, configurable via RS232, to digital 50/60 Hz real-time image acquisition via Gigabit-Ethernet and online processing for computer-based process control. Both camera series are perfectly suited for various applications in research and industry, as well as for monitoring tasks, which require continuous and automatic operation. 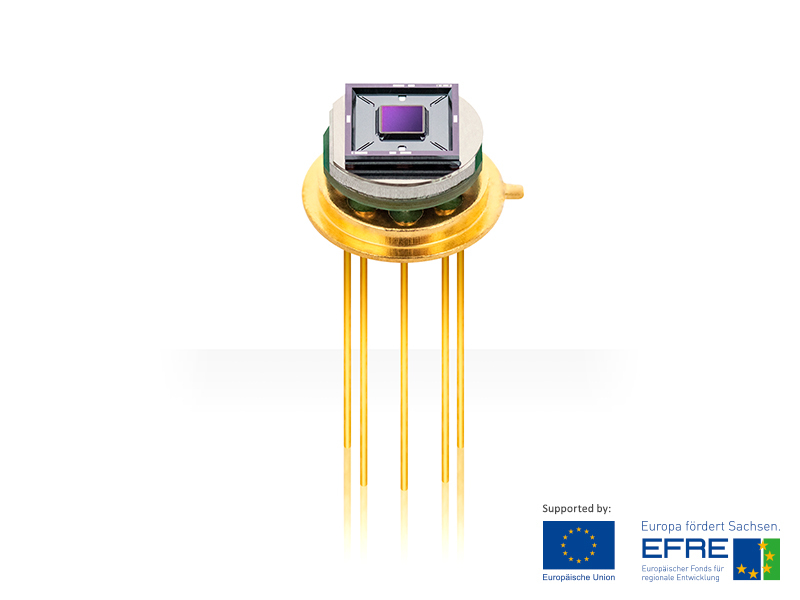 The very compact infrared camera module PIR uc 180 allow for entering in research and development thermography applications as well as in process control applications. In combination with the thermography software IRBIS® 3 online, the PIR uc 180 captures digital thermography data with a geometric resolution of (160 × 120) resp. (320 × 240) IR pixels and an image refresh rate of up to 100 Hz. The high-resolution PIR uc SWIR HD 800 is a very compact thermographic camera, which works in the short-wave spectral range and is used preferably for contactless temperature measurement on metal surfaces because of its spectral characteristics. 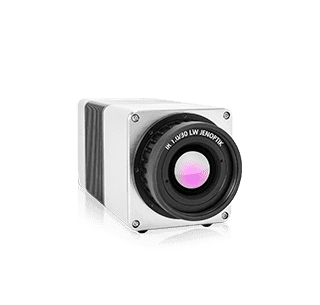 The robust industrial camera is based on a high-resolution Si-CMOS array with (1,280 × 1,024) IR pixels and enables images in HD quality. 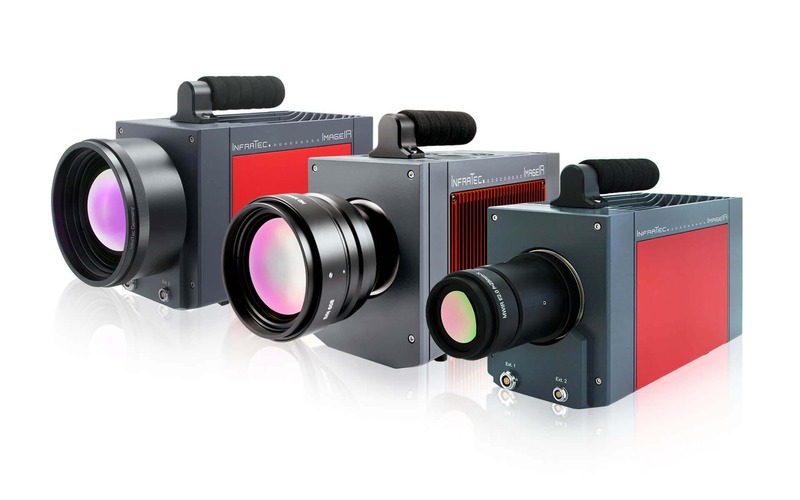 The high-end thermographic cameras of the product series ImageIR® from InfraTec meet the highest demands in research and science, for non-destructive inspection as well as for process control. The modular concept allows them to be excellently adapted to your specific measurement and inspection tasks. Cooled photon detectors of different types (InSb, MCT), spectral sensitivity ranges and formats are used. 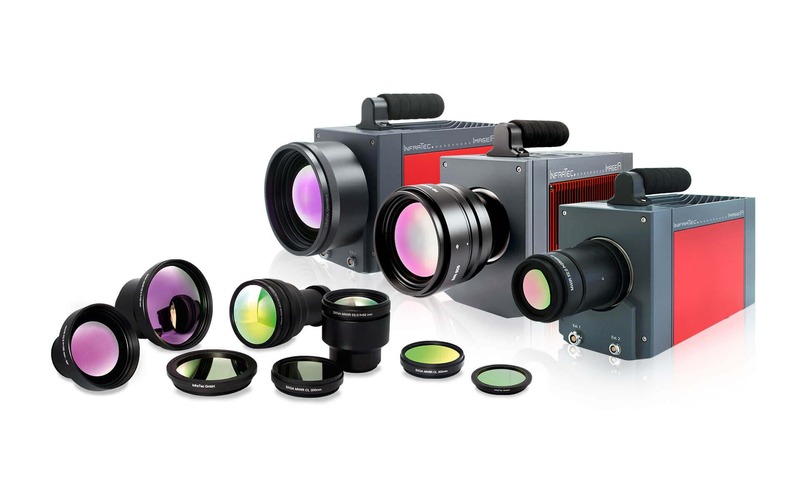 The numerous equipment options include powerful infrared full optics, filters and rotating aperture wheels, trigger and data transfer interfaces as well as motorfocus units suitable for continuous operation. 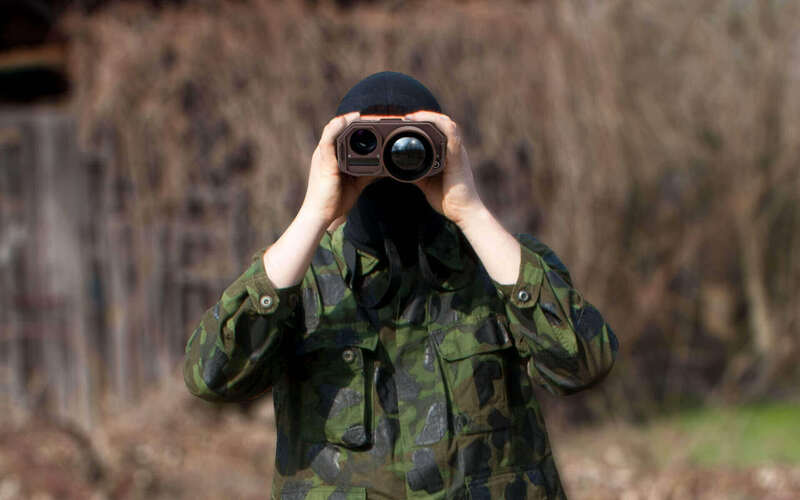 FLIR (Forward Looking InfraRed) systems such as the Nyxus Bird or ImageIR® 8300 Z and ImageIR® 9300 Z from InfraTec are very efficient when securing big and open areas. They detect the thermal radiation of the observed scene and therefore do not need residual light or infrared lamps. High quality thermal images can be viewed during every time of the year, by night and even in smoky and misty environments. 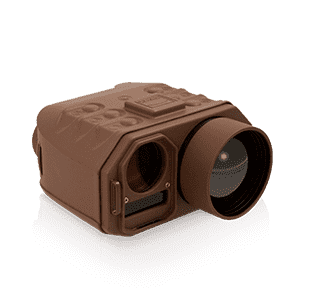 The thermal imaging systems ImageIR® 8300 Z and ImageIR® 9300 Z enable with the with a 30× zoom lens complex observation and investigation, such as border control, vehicle observation and monitoring of the environment or animals. 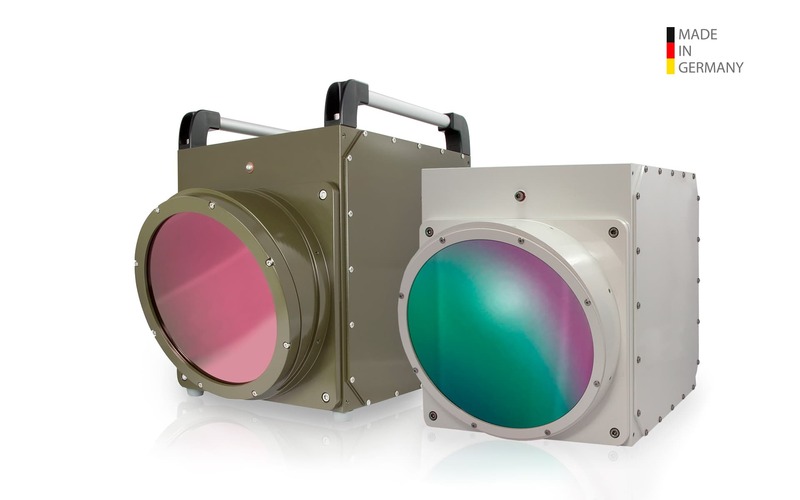 State-of-the-art InSb detector technology with a resolution of (640 × 512) and (1,280 × 1,024) IR pixel offers most sensitive, high-resolution infrared imaging capacity for 24/7 operability even through fog and smoke, day and night. The thermographic high-resolution systems VarioCAM® HD head security and VarioCAM® HDx head security are based on an uncooled microbolometer FPA detector of the latest generation with (1,024 × 768) IR pixels and were conceived for demanding monitoring and measurement tasks in stationary or vehicle-mounted operation. They are the ideal tool for long-range detection, recognition or identification of persons and vehicles. The different configuration of the thermography systems allow optimum adaptation to the respective application task. 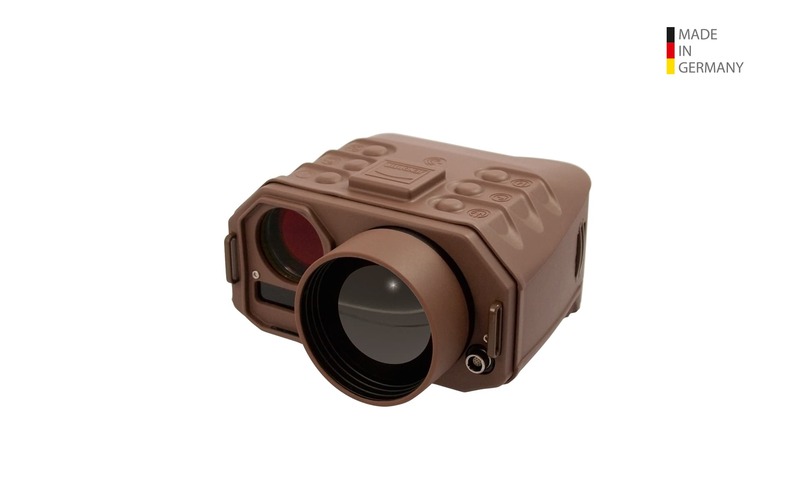 Nyxus Bird and Nyxus Bird LR are multi-purpose FLIR observation and reconnaissance device for demanding law-enforcement missions. Due to its unique combination of features and specifications it is an essential tool for observation tasks. With just one keystroke the operator can switch between a high-resolution thermal image and tack-sharp visual view. Both operation modes can utilise a precise laser range-finder which is invisible for image-intensifier based counter intelligence. Remote targets can be measured and localised via the integrated GPS and digital magnetic compass. 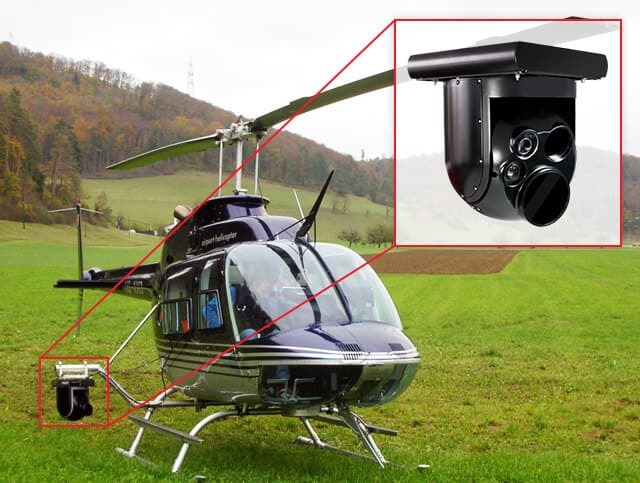 Gimbals, or gyro-stabilized platforms, have been used for many years as very effective systems for airborne thermography in the inspection of high-voltage power lines, pipelines and industrial plants, as well as in the search for energy and material pollution. Due to their high-precision stabilization, images of distant objects can be accurately captured despite movement of the airborne vessel carrying the gimbal. 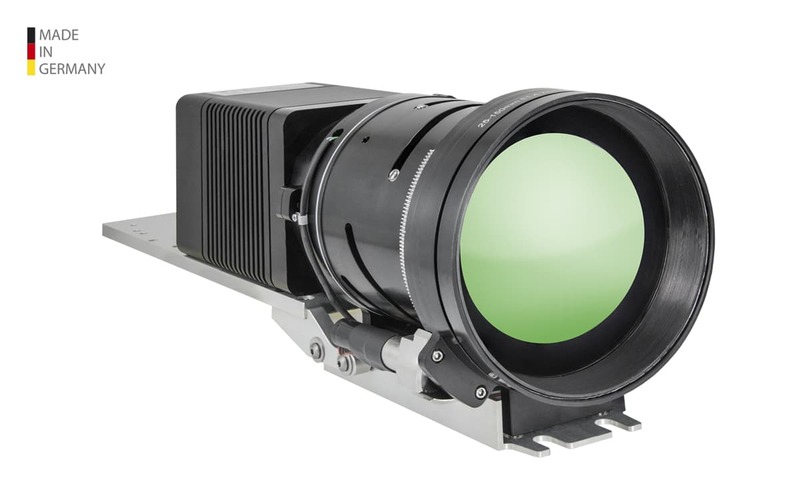 Integrated into the gimbal are cameras for both, the visible (visual camera) and in the infrared spectrum (infrared camera), a laser rangefinder and laser target designators. The solution, for example integrated into a helicopter, is operated by a user interface in the cockpit. A handy remote access allows the direct control of the infrared cameras and visual camera, directly through the gimbal. The full radiometric thermographic measurement data can be stored as a sequence individually or along with GPS coordinates and other information. InfraTec offers numerous gimbal systems that can be mounted to a helicopter, which are equiped for example with the thermal imaging cameras of the camera series VarioCAM® High Definition and ImageIR® by InfraTec. For more information about our gimbal systems, please use our contact form. 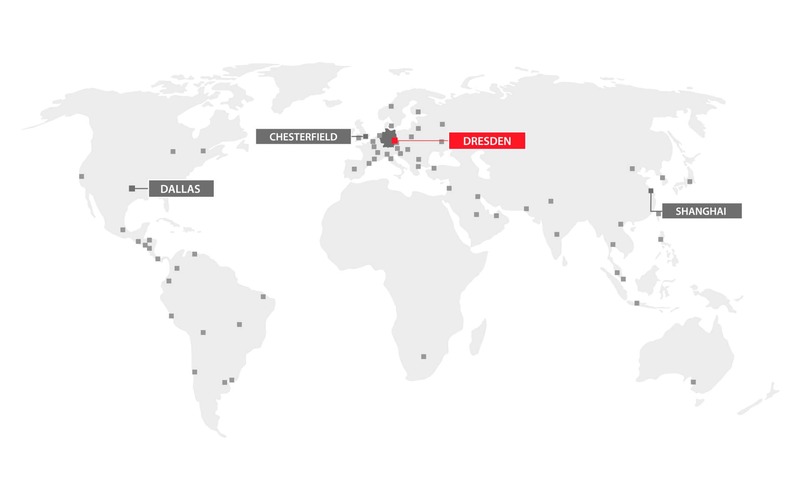 For more than 25 years InfraTec has been providing comprehensive service. Let’s find out, what we can do for you. An infrared camera is a measurement device, which can capture temperature distributions on object surfaces without touching the object. In order to achieve this, the thermal radiation of objects or bodies, which is invisible to the human eye, is made visible. We – InfraTec GmbH – offer a wide range of portable and stationary measurement devices for this purpose. 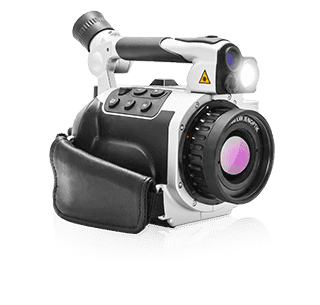 The extensive product assortment of infrared cameras includes entry-level cameras, professional und universal cameras, high-end systems as well as stationary industrial systems. Possible applications of these measurement devices are very versatile and range from maintenance, process optimisation, quality assurance and assembly optimisation to active thermography. 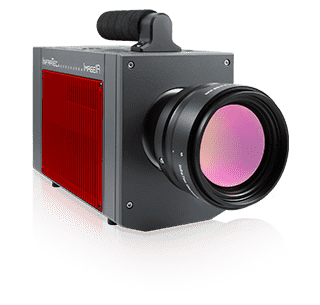 With the brand-new infrared camera series VarioCAM® High Definition by the exclusive German producer Jenoptik, InfraTec presents the world’s first mobile microbolometer infrared camera, which has a detector format of (1,024 × 768) IR pixels. The stationary version VarioCAM® HD head has especially been developed for industrial and scientific thermographic applications. Infrared images display infrared radiation, which is caused by the body temperature of objects or living beings. This radiation is captured by an infrared camera. Infrared radiation is invisible to the human eye. This is why infrared images are the only possibility to display thermal radiation. 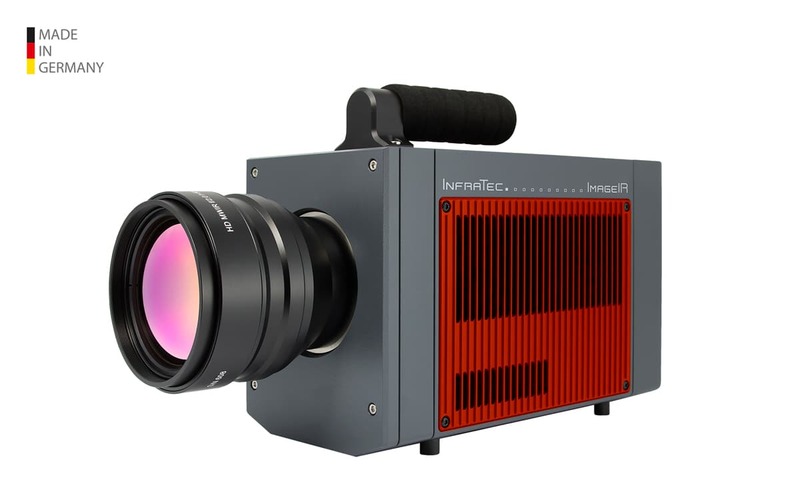 InfraTec is a leading thermography expert offers more than 30 high-performance infrared cameras for numerous applications. Extensive equipment, informative manuals and suitable thermography software is available for every infrared camera model. 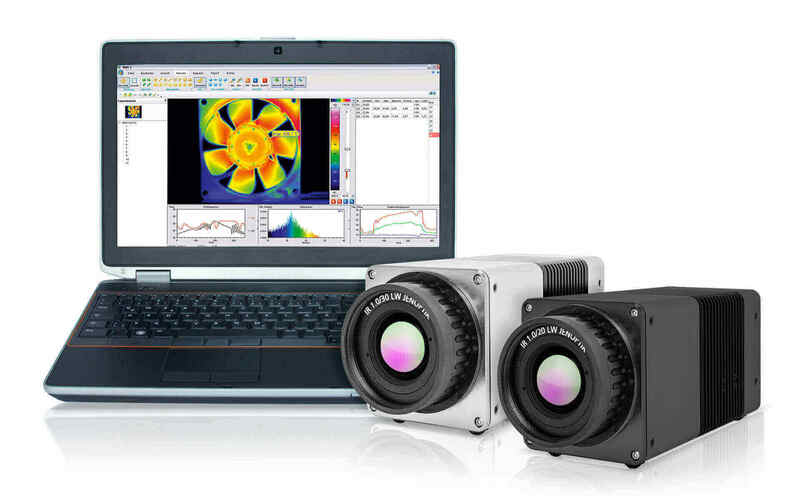 The extensive, modular thermography software family IRBIS® 3 is the ideal tool for analysis of thermographic measurement data and for comfortable generation of Word reports. IRBIS® 3 is compatible with all infrared cameras in the InfraTec assortment. InfraTec will still be your best partner after you purchase your infrared camera. In InfraTec’s seminars, you will be able to learn everything you need to know about infrared thermography in theory and also in practical experiences. For advanced users, InfraTec offers the certified thermography course level 1 (in accord with DIN 54162 and EN 473).